Great storytellers are my favorite people – they have energy and a curiosity for life; they are students of human nature and what drives behavior; and they have a gift for crafting a tale that keeps one transfixed. That’s probably why Jeff Herrington is one of my favorite storytellers. The first time I met Jeff, I was a twenty-something corporate communicator working for NCR’s Employee Communications team in Dayton. Jeff had flown in from Dallas to do a writing workshop that was filled with practical examples and best practices on how to reach and keep the attention of our readers. Jeff, even then, was at the top of his game, having done amazing projects for Fortune 500 clients like Whirlpool. His session kept my co-workers and I completely engaged. He knew the way to communicate with impact was through story. 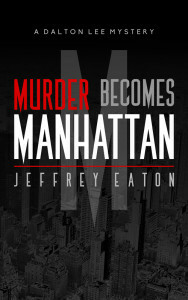 It was no surprise to me that he has applied his considerable writing chops to the realm of novel writing, penning two mystery thrillers, Murder Becomes Manhattan and more recently, Murder Becomes Miami under his pen name Jeffrey Eaton. I reached out to Jeff to find out more about his books, what he’s learned on the path to published author, how to build audience and whether his corporate communications career has helped or hurt him along the way. His responses, provided lightning fast after I shot the questions over to him, will enlighten the veteran and the virgin writer. Thanks for generously sharing your gifts, Jeff! Q. What sparked your idea for your mystery thriller series? Jeff: For some reason, I have always been drawn to stories of intrigue. I was a big fan of The Hardy Boys Mystery Series between ages 7 -12. After that, I got hooked on Agatha Christie’s novels. So writing mysteries has always been lurking in the back of my mind as something I’d like to do. Then, a few years ago, I was in a bookstore and saw Sue Grafton’s series using the alphabet (A is for Alibi) and I thought, “What a gig!” It got me to thinking about how I might create a similar but different series and the idea of having each novel set in a different global location, but all starting with the letter ‘M’ was born. Q. What was the most challenging and gratifying aspect to seeing your idea become a published book? What would you like to have done differently the first time (publishing or writing lesson to share with other aspiring authors)? Jeff: The most challenging aspect was (and continues to be) finding the time to market the books. Although I enjoy marketing, I’m not terribly comfortable with guerilla marketing but these days you really have to do that to get noticed in a crowd. It pays off — we spend a week marketing heavily and see sales climb as a result, but then they drop flat again the minute you stop. It’s relentless. The most gratifying thing is seeing the reviews. Both “Murder Becomes Manhattan” and “Murder Becomes Miami” have average ratings above 4.0 out of 5. And some people are really really hooked on the series. That’s exciting — to know I have created something people really cannot wait to read on the airplane, or once they get to the pool at their hotel in Cancun. Q. I know you are an accomplished corporate writer and lecturer who has traveled extensively. How has your career as a corporate communicator served you well as you crossed into the realm of book author? Jeff: Great question. The downside is that, in corporate PR, we mostly write to the AP Stylebook. But in the world of fiction we write to the Chicago Manual of Style. Thank heavens I have an editor grounded in that! The positive affect is that corporate communication emphasizes a need to get to the point quickly. I have adopted that in both books. You are very much dropped into the action from the get-go. Many readers have told me they find the books exciting in that way. They are ushered into the book pretty quickly and have to hold on from there. Q. I noticed that you opted to not use your real name for your novels. What made you go in that direction? Jeff: Three factors: A) The desire for privacy and the opportunity to write other more serious books later under my real name if I choose B) The name Eaton fits on a book cover much more easily than does Herrington. C) My father was a dancer in vaudeville and motion pictures back in the 1930s. His stage name was Jerry Eaton, so I chose Eaton as my ‘stage name’ as an homage to him. Q. Who is your favorite character in each of your books and why? 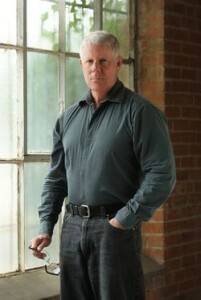 Jeff: There is a team of architects/detectives in my books who work on solving the murders. However, my readers overwhelmingly seem to gravitate toward Dalton Lee, the head of the architecture firm and the main detective in the books. However, he has also become my favorite as well. Poor Dalton is 40ish and already grappling with the early stages of mid-life crisis. He has such a great heart but he is such a social oaf at times. Then there is the fact that statues, department store mannequins, even taxicab ashtrays have conversations with him. I think people find his quirkiness appealing, especially since, despite all of his goofiness, he is the genius who always solves the crime. Q. Do you think writing a series is the wave of the future for authors? Do you find it’s an effective way to build audience? Jeff: Certainly in the mystery genre it is. Most people are telling me they like the Miami book more than Manhattan, but mostly because it is like reconnecting with old friends and seeing story lines that piqued your interest in the first book evolve in the next, and so on. From an author’s standpoint, it is a wise thing to do, for the maxim is you always sell more of your first book when the second book comes out, and so on. That has been the case for me, and on those days when we sell just 2 books, invariably it is one copy of one title and one copy of the other, which tells me one person likely bought both. Series build income, a following and back sales in a way individual stories don’t. Q. What city or cities will you be tackling next for a setting to your thriller series? Jeff: The next book is set in London. “But London doesn’t start with an ‘M’, Jeff” you say. You are right, however the entire book will be set in London’s most posh neighborhood, Mayfair. So there you go. The other cities and their order are a secret (the next location always gets revealed at the end of a current book), but I can say that places/events like Madrid, Milan, Malibu, Myanmar, Monte Carlo, Moscow and Mardi Gras are all in the running. Q. What has been the most surprising reader feedback you’ve received to date? Jeff: One person who REALLY did not like Manhattan said I had completely lost her when she hit the part that said the identities of certain hostages were made known to their family members when the captors sent those family members small body parts of the person. “Yeah right,” she said, or something to that effect. And yet, that plot line is straight out of the headlines, has happened in real life many times over the past 10 years. I guess it is good that we don’t want to believe the world can be really that gruesome. But it is reality, and I’ve been surprised by a few people (very few) who haven’t been able to believe some of the very real things that take place in my books. Q. How important is it to build audience via social media? What tactics and platforms have worked best for the type of readers you are trying to attract? Jeff: Social media is tough. I have a cohort who is a master at it and he knocks things out all over the place all the time. We get lots of likes, followers etc. But getting that to translate into sales is not easy. To be honest, I find personal appearances to be far more helpful than social media right now. I give a talk at a book club or a bookstore and the books fly off the shelves. That said, all it takes is one key connected person raving about your books to their friends on social media and the next thing you know you are a smash sensation. There are certain days where we sell 3, 5, 8 copies of the books and I know someone on social media somewhere must have said something to prompt those sales because I haven’t made a personal appearance that week. 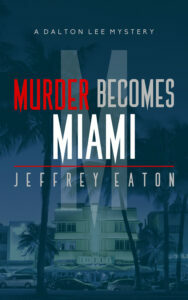 Jeff Herrington is the author of two novels, Murder Becomes Manhattan and Murder Becomes Miami under the pen name, Jeffrey Eaton. He is also the founder and president of Jeff Herrington Communications, a Dallas-based writing coaching and consulting company. He offers a wide range of workshops, training communication teams on their writing and their ability to come up with innovative content approaches. As a writer, Jeff has traveled to more than 45 countries on five continents as a writer for the internal and external publications of IBM, AT&T, Whirlpool, Baxter Healthcare and John Deere, among many other companies. Learn more about Jeff Herrington Communications at www.jeffherrington.com. This entry was posted in Author Interviews, Book Reviews, Storytellers, Writing Tips and tagged author interview, Jeffrey Eaton, Jeffrey Harrington, Murder Becomes Manhattan, Murder Becomes Miami, mystery author, writing advice on February 6, 2016 by AnneWainscott.